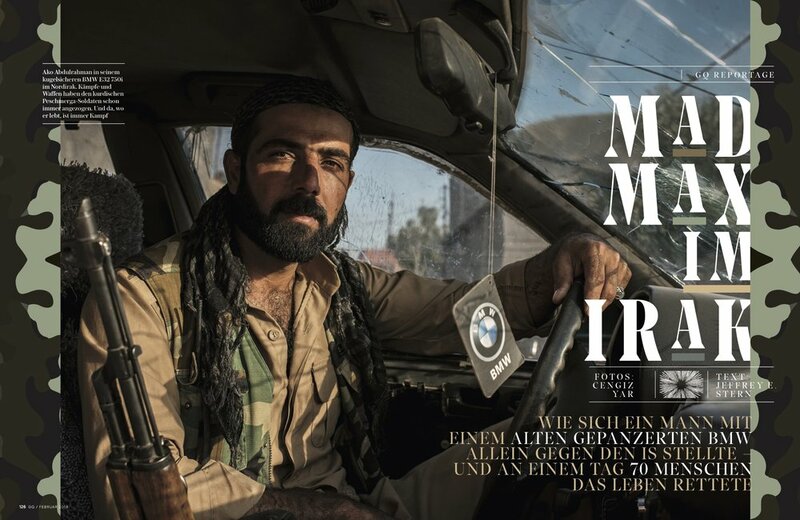 GQ Germany reprinted and translated Jeff Stern's incredible story of Ako, his BMW, and their Death Race-styled mission during the ISIS attack on Kirkuk in 2016 for their February issue. 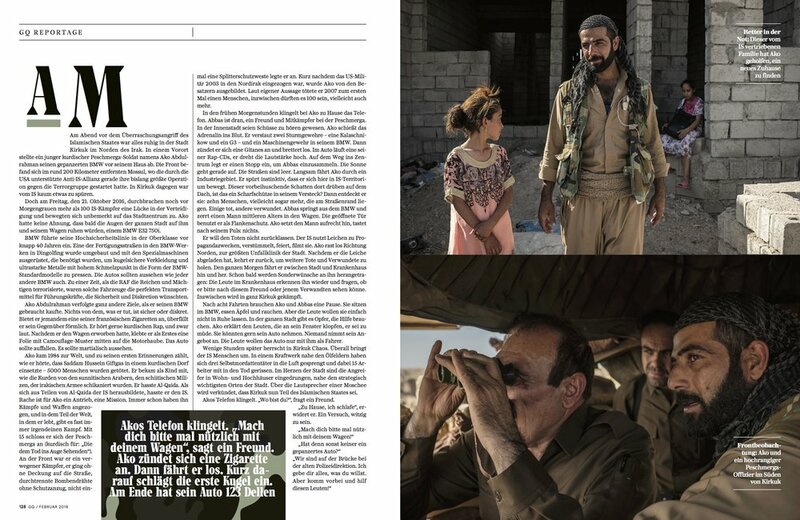 Read the English online version done for Vanity Fair here. "When Ako Abdulrahman, then 30, bought a used BMW E32 750i Security Vehicle, his intention was the opposite of the one BMW had envisioned. Nothing Ako does is safe or discreet. If he offers you one of his French cigarettes, he lunges forward with it. He drinks a cappuccino in three gulps. He listens to Kurdish rap music and likes it loud. His presence is one of urgent motion. Even his beard is shaped into an angular prominence that suggests direction." 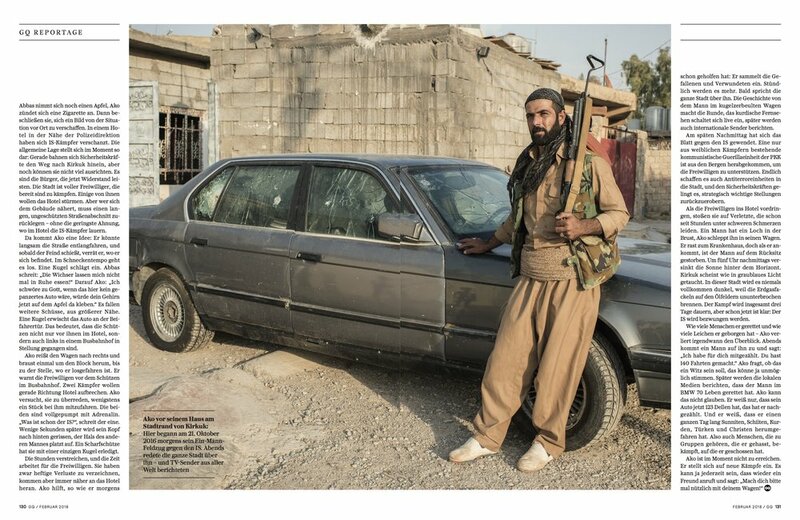 Grab a copy of Vanity Fair's December issue and read Jeff Stern's incredible story of Ako, his BMW, and their Death Race-styled mission during the ISIS attack on Kirkuk in 2016. Thanks to Rawand and Ari for all the help getting this one done. 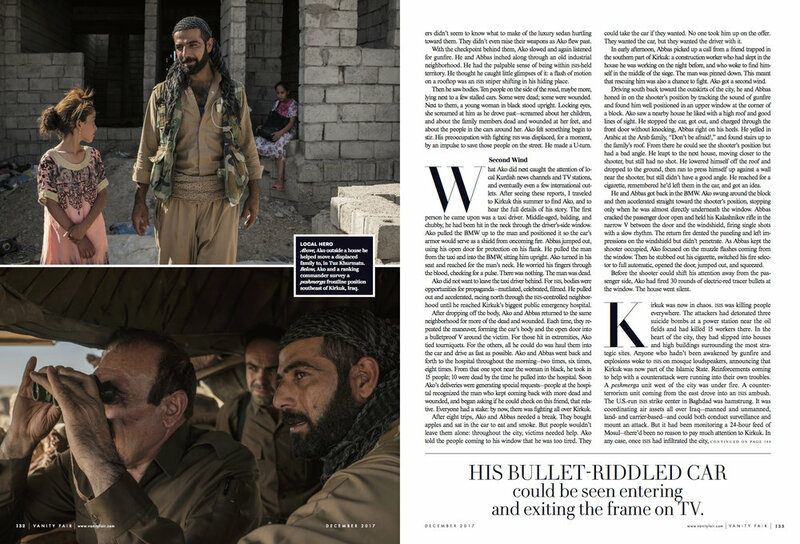 My latest with Campbell MacDiarmid on five incredible young men headbanging it out in Kirkuk.